Google’s famously simple homepage with its logo and single search box on a white background is set to undergo a radical change for the first time since its launch in 1996, with the addition of Google’s interest and news-based feed. 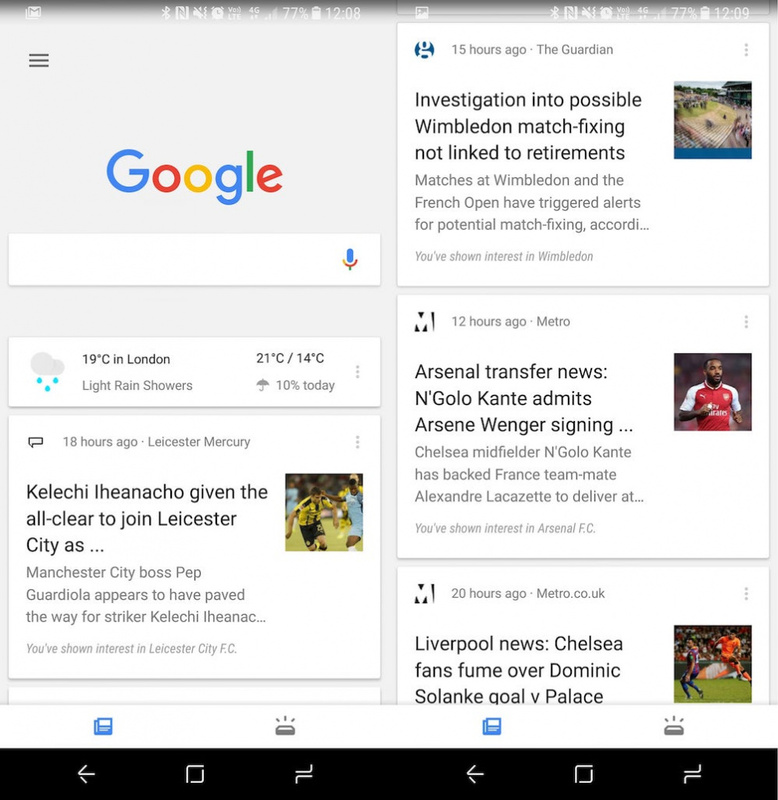 The feed of personalised information, which has been a mainstay of Google’s mobile apps for Android and iOS since 2012 along with a home-screen page on Google’s Nexus and Pixel smartphones and tablets, will become part of the main web experience in the near future, the Guardian understands. On Wednesday Google announced it was deploying further customisation to the feed, which took over from its Google Now personalisation in December, using the company’s “advanced machine-learning algorithms”. Users will also be able to follow topics straight from search results for things such as sports, movies, music and celebrities, showing updates on those topics in the feed. Google said the new additions to the feed would roll out to US users immediately and internationally in the next couple of weeks. While most of the new features are iterative, with some form of them available in the Google search apps already, the addition of the Google feed to the main desktop sites will mark one of the biggest changes to Google’s approach to search. Google once had a personalised homepage called iGoogle, which resembled other web portals of the day and was available from May 2005 and discontinued in November 2013. But iGoogle was only shown to those who were logged in and had selected to use iGoogle, rather than the default simple search box Google homepage. How it will look and work on the web and whether it will include the search company’s voice assistant Google Assistant is not yet known. The feed is likely to require users to log into Google to see it, and will probably resemble the tablet experience of the Google feed, with multiple card-containing columns with news posts, event updates and more. The mobile app feed also contains things such as boarding passes and calendar events based on things taken from Gmail and Google calendar. Google already had an experience for Google Now on its Chromebooks, which included the search box and the feed containing everything that’s currently displayed on mobile devices. Rolling out that experience to the main Google.com homepage would almost instantly turn it into the biggest web portal available, dwarfing stalwarts Yahoo and Microsoft’s MSN and Bing.